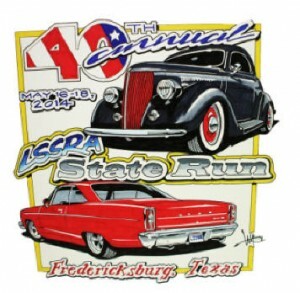 The Lone Star Street Rod Association State Run is a car show featuring pre-1949 vehicles. $25 advance registration for participants or $30 at the gate; spectators free. Fri 3 to 6 PM; Sat 8 AM to 5 PM; Sun 8 AM to Noon. At Lady Bird Johnson Municipal Park on Hwy 16 S. (903) 652-2855.